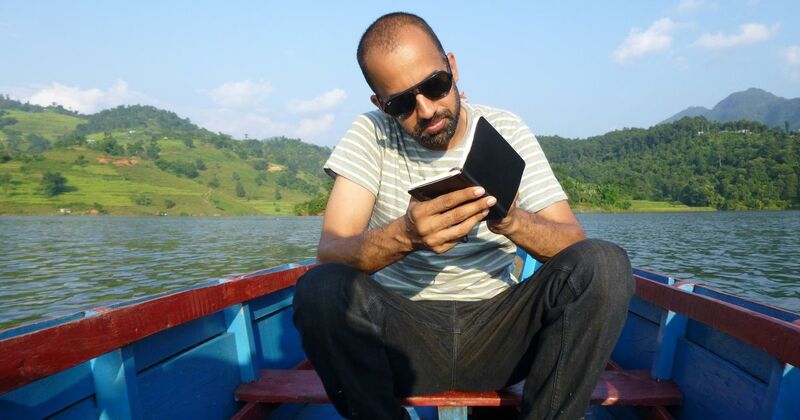 An interview with Rabi Thapa, Nepali writer in English. A candid conversation with Rabi Thapa, Nepali writer in English. Although literature in Nepal has a long history, Nepali writing in English (NWE) only caught international attention in the early 2000s, after the publication of Manjushree Thapa’s The Tutor of History and Samrat Upadhyay’s Arresting God in Kathmandu. Today, NWE has moved beyond just books – there is a burgeoning slam poetry scene, as well as an effort by international publishers to bring in new translations and writers. Despite a history of literature tracing back to antiquity, English writing in Nepal is a more recent phenomenon. How far have we come? We’ve got to where we are with stops and starts, beginning with sub-par self-translations by poets in the 1950s and peaking, so to speak, with the vanity projects of the ’80s and ’90s. With a few exceptions (the academic and essayist Kamal P Malla for example), this is primordial, non-edited (and largely non-read) Nepali writing in English. The scene got a shot in the arm with the publication of Samrat’s and Manjushree’s fiction outside Nepal, circa 2001. But it lost steam, perhaps because Nepali writing in English was a niche market and simply didn’t have enough readers. This, despite the phenomenal parallel growth of Nepali-language publishing, driven by media-savvy private companies. The last few years have seen significant additions to non-fiction from Nepal (in English), Indian publishers such as Speaking Tiger are commissioning new work, and publications like La.Lit and The Record are doing all they can to encourage Nepali writing in English. Ask me again in a few years and we’ll see if this is just another blip or a massing of energies. How can it be ensured it’s not just a blip? Are there any institutional support systems for writers? Yes, Nepali language writers do get some support and validation from the Nepal Academy, though this is orientated towards the canon, as represented by the topi-wearing old school. This is not applicable to us for the moment. As for the government’s investing in Nepali writers in English, they’re hidebound. New culture does not permeate unless it comes bundled with flashing lights. There is a lot of energy visible in Nepali writing today, with slam poets, feminist writings and the Book Bus Library’s focus on writing and reading among schools and colleges. How do you see things moving ahead? And where do you think this energy is coming from? There is a lot more of youth involvement in writing and performing poetry, in both Nepali and English. The Book Bus (run by Quixote’s Cove), by travelling to towns along the highways, tries to ensure that this energy is not limited to Kathmandu. The themes cover the personal as much as the political. So a slam poetry contest will veer from heartfelt odes to the body, love and teenage rebellion to weary satires on society and politics. Political instability – or stagnation, if you will, in the sense of enduring corruption – clearly frustrates the Nepali youth, who refuse to accept the dysfunction that warps their futures. Writing/performing is one way to express this anger, and search for solutions. Several translations of Nepali writings, including two of IB Rai’s by Manjushree Thapa and Prawin Adhikari, are on their way. How important are these translations to Nepali writing? Do you think a focus on translations may result in fewer original works? IB Rai’s is a special case, as he is writing from Darjeeling. Translations of his work are important for the Indian mainstream and to project a Nepali sensibility into the wider world. More translations are needed, to reach Nepalis in Nepal and across the world who prefer to read in English, as much as to allow those writing in Nepal’s languages to be part of a global conversation. Yes, there are not many of us working in English, and spending time on translations means less time on original work – but we’ll get there eventually! Any particular writers whose works you’d like to see being translated? There’s so little that’s been done at an acceptable level that it’s all fair game, keeping in mind the limited resources we have in terms of translators (and paying for their time). 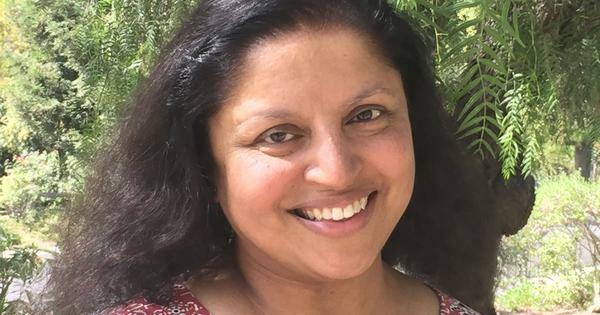 All the classics need redoing, but newer writing – especially the literary bestselling fiction of the last decade – deserves to be thrust on the world stage. Your most recent work was an acclaimed historical memoir about Thamel. La.Lit, the literary magazine you edit, dedicated a full issue to translations. What do you think is the role of the writer in modern Nepal? Writers may be engaged in hand-to-hand combat on a number of fronts – writing, editing, translating, interacting with peers and audiences, and, often, a tedious job as well, to pay the bills. That’s my experience, but it may not be another’s, and I would never suggest that a writer has to occupy a certain role in society – she does what she needs to do for herself, and if that revs up the literary scene and contributes to positive social change, fine. I’m a bit wary of social(ist) realism and worthy themes as ends in themselves. Why? Wouldn’t a writer be as affected by the stagnation within the socio-political sphere? What I mean is I can’t stand the sanctimony of those who feel writing about the state of the nation in terms of a class struggle is inherently more elevated than writing about, say, falling asleep. And finally, what can publishers of Nepali writers do better to make their works reach a larger audience? To a great extent, Nepali publishers have succeeded in this through marketing ploys and promoting the cult of the celebrity writer. What they could do better is on the editorial side, to ensure the works are of better quality (don’t get me started on celebrity autobiographies) – they owe it to the readers. International publishers of Nepali writers need to work harder to market and distribute the books – they owe it to the authors.